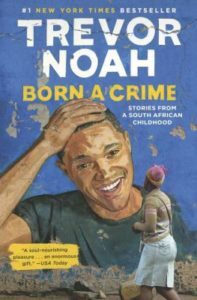 At turns heartwarming and heartbreaking, Trevor Noah’s candid memoir is a powerful, moving story of his life as a mixed race child growing up during apartheid. Told in vignettes, Born a Crime documents his relationship with his mother, his childhood and teenage antics, and his struggle to fit into a world that considered him a crime (at the time of his birth, interracial relationships were illegal). Perhaps best known as the host of The Daily Show on Comedy Central, Noah does infuse humor into his stories, but this is not your typical comedian’s memoir. Listen to the audiobook: the author’s command of multiple languages and skill at impersonations shine in his engaging narration. Scrappy Little Nobody is everything I wanted out of Anna Kendrick’s first memoir: childhood stories, breaking into show business (on stage and on screen), behind-the-scenes memories, and funny anecdotes and asides. The stories range from unique and humorous—such as the time she and her brother went to NYC as young teens for an audition and her parents faxed over their credit card number to the hotel, promising that their children definitely weren’t unattended minors—to personal, as was the case with remembering her grandmother’s funeral. Kendrick toes the line of “stars: they’re just like us!” presenting scenes from the Oscars, as well as a chapter on why she’ll never call herself a real adult. The author herself reads the audiobook and does so splendidly. This is a perfect read for fans of Mindy Kaling’s Is Everyone Hanging Out Without Me? or Felicia Day’s You’re Never Weird on the Internet. 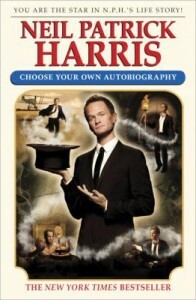 Neil Patrick Harris’s autobiography is not your regular autobiography—it’s a choose your own adventure book. Written in second person, the book mimics the format of the Choose Your Own Adventure series he grew up reading, where the reader is given choices and asked to turn to a specific page to follow that choice to its conclusion. These include pursuing a career as a teenaged doctor, learning magic, and meeting the man of your dreams—but be careful, some roads lead to death by quicksand! In this unusual autobiography, Neil covers his childhood, how he first got started in theatre and television, and his time on Doogie Howser, and later, How I Met Your Mother. The chapters on his personal life “behind the scenes” and about his family are my favorite and you can really feel the love Neil feels for his husband and children. The print version gives you the full experience of the format, but the audiobook makes up for this by including recordings of speeches Neil has given, one as a thirteen year old, and one as an adult, receiving a Tony award. The format does make the audiobook tricky, but it was handled well, asking the reader not to turn to a page number, but to “keep listening” or “wait awhile.” Included in both are drink and food recipes, as well as instructions for magic tricks. Choose Your Own Autobiography is a fun and fascinating detour from the usual memoir fare and it’s done in a way that only NPH could do. 1930 was the year of New York Justice Joseph Crater’s infamous disappearance (his body was never found). This novel tells the story as seen through the eyes of the three women who knew him best: his wife Stella, his mistress Ritzi, and the maid Maria. Their story, expertly woven around these events, comes from the author’s imagination and she builds a fascinating tale of what may have happened. Author Ariel Lawhon saves the why of Judge Crater disappearance until a twist in the very last pages. 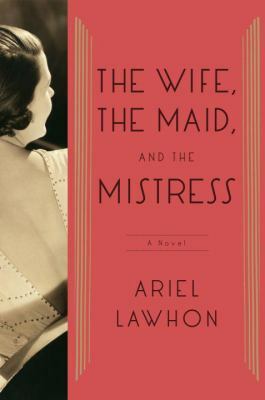 The Wife, the Maid, and the Mistress will transport readers to a bygone era of chorus girls, speakeasies, bootleggers, Tammany Hall corruption, gangsters, and irritating rich people. Upon turning 65, Billy Crystal, a comedian, actor, and director, wrote this entertaining, humorous, and sometimes poignant book. It alternates between quips about aging and reflections on his family life and career. In the audio version of Still Foolin’ ‘Em, the chapters on aging seem right out of his stand-up act complete with laugh track. I especially enjoyed the sections on the making of the movies When Harry Met Sally and City Slickers and learning about his friendship with Muhammad Ali. Reading about his early marriage years with Janice through being a grandpa gave me a different perspective on this funny man. Shrouded in secrecy, Oak Ridge didn’t officially exist despite its population of over 70,000 residents at its peak in 1945. Denise Kiernan unveils the amazing true story of the government’s efforts to harvest fuel for the atomic bomb by building industrial factories – and an entire town – from scratch in rural Tennessee. As a history major with an avid interest in World War II, I had never heard of this – so I’m guessing many others are unaware of this aspect of the Manhattan Project. The Girls of Atomic City traces the lives of several women working in Oak Ridge for the war effort – which is about all they knew: that their job would help end the war, but no more. Workers were given just enough information to properly complete their jobs. Part military base (guards patrolled entrances), part small town America, Oak Ridge housed military and medical personnel, scientists, and skilled and unskilled laborers from all walks of life from across the United States. 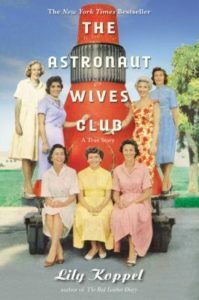 Read this book – it provides a fascinating glimpse into a little known part of American history and effortlessly weaves history, science, biography, and ethics through vignettes about several strong women. Eloisa James wrote this memoir based on her blog and Twitter posts during a sabbatical in Paris. The entries are filled with wit, wisdom, and insights into motherhood and life in general. Tidbits on daily life in Paris abound. The patient reader is rewarded with a sense of character development in each of her family members over the year. 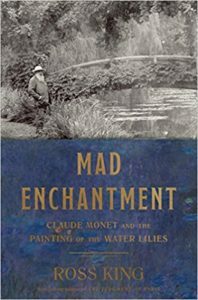 The author even throws in a few recipes, reminiscent of Lunch in Paris by Elizabeth Bard, but it is a very different type of memoir. After the last tear has been shed, the last laugh chuckled, and the family is safe and sound stateside, James adds “My Very Idiosyncratic Guide to a Few Places in Paris” for all of us who dream of visiting Paris someday. She recommends museums, galleries, boutiques, salons, eateries, chocolate shops, and the like that she frequented during her stay in the acclaimed city. Many include websites, just in case we can’t wait for our next trip abroad. Paris in Love is my first taste of the author’s work and seems to be atypical. I may have to read one of Eloisa James’s (also known as Mary Bly) essays on Shakespeare or romance novels to complete the picture.